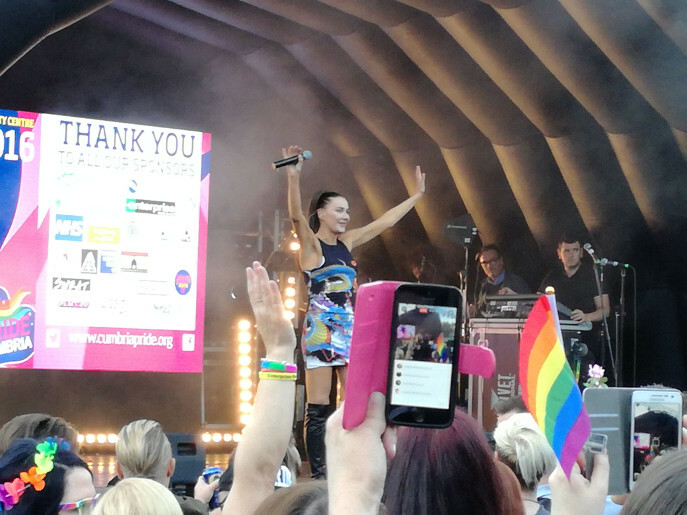 Cumbria Pride is a registered charity that stages two annual events, a summer LGBT+ pride in the north of the county and now a winter pride in the south. Attended by thousands each year, since 2011 Cumbria Pride has become a major event on the UK's calendar. Cumbria Pride 2017 will be on Saturday 16th September, see Facebook for details. For more information about this year, Winter Pride 2016 and every event since 2011, please visit the Cumbria Pride website. Cumbria Pride are looking for volunteers (18+) to help run the events, please get in touch to let them know a little bit about yourself. Partnering with sponsors and other organisations, brings great exposure and benefits everyone; please contact Cumbria Pride for more information. Donors are also very welcome, you can use JustGiving to donate online, every little helps!